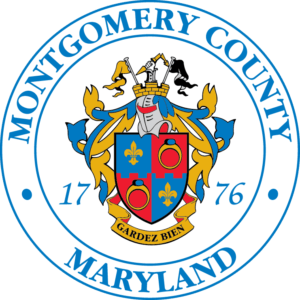 For those efforts, Scott Orthodontics, which is based in Silver Spring but also has an office in Mitchellville in Prince George’s County, has been named a Certified Green Business by the Montgomery County Green Business Certification Program. They were recertified in 2015. The sustainability changes they’ve made save the business power, water, and money. Perhaps most importantly, though, they hope it brings a smile to patients’ faces. 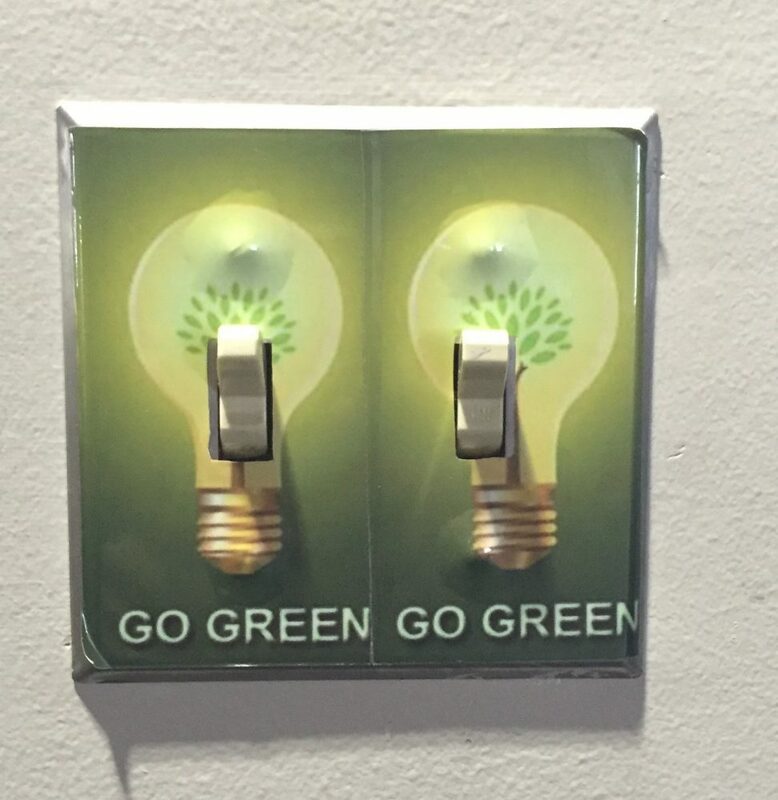 Light switch stickers remind staff to turn off lights when leaving a room. Many of Scott Orthodontics’ sustainability upgrades would work for any business or home. For example, all overhead lights in the Silver Spring office were replaced with LED lighting, saving the company an estimated $800 per year. They also installed smart strips for the electronics at each patient chair to eliminate “vampire” power consumed when electronics are off or in standby mode. In addition, office staff foster conservation at the office’s 11 water fixtures by focusing on the human side of the equation. Switching to reusable plates is one way Scott Orthodontics is reducing its use of paper. The two locations now jointly order staples like folders, business cards, and the ubiquitous orthodontist toothbrush. This, Sarvis said, cuts down on unnecessary purchases. 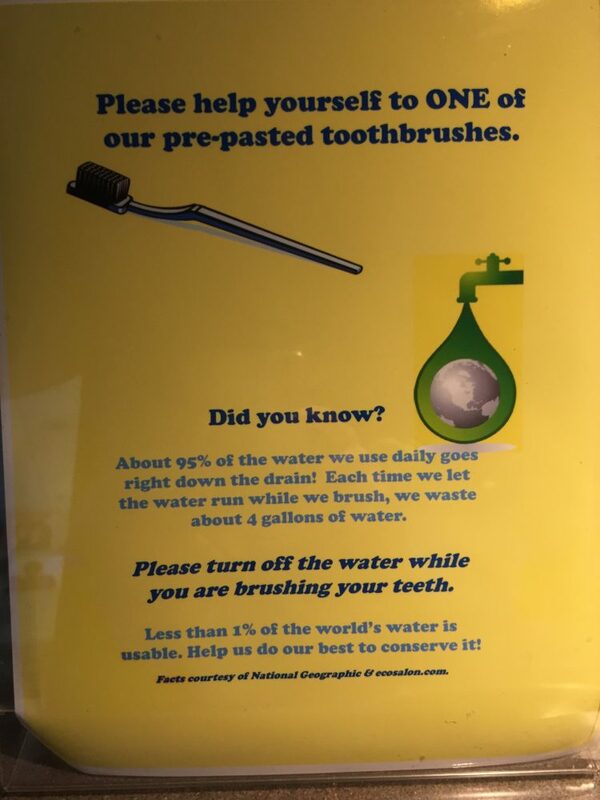 Signs like this educate patients on water consumption and serve as a good reminder to turn off the water when brushing your teeth. What’s more, the Silver Spring office has gone “chartless,” with patient information now residing in a secure digital database instead of massive file cabinets. Recycling at Scott Orthodontics is now more of a conscious effort, with general paper products hitting blue bins instead of trash cans. As for those famous postcards, the ones reminding you it’s time for your checkup? 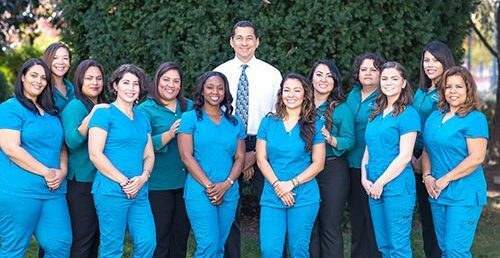 Those reminders arrive by phone, email, or text message now if you’re a patient at Scott Orthodontics. Sarvis said Scott Orthodontics is pleased to be a Certified Green Business, and publicizes that fact on its website and in office promotions—which, true to form, are now paperless. To find other green businesses in Montgomery County or learn more about the green business certification program, visit www.mcgreenbiz.org.